A paper, disposable diaper-changing pad if your child is still young enough to be lifted onto a baby changing station in a public restroom. 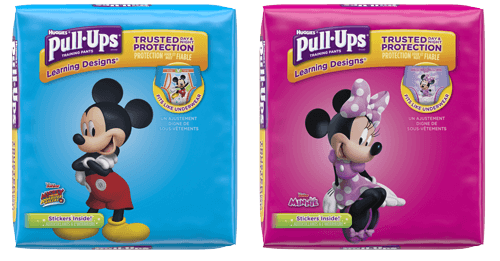 TIP: Stash a “potty training pouch” — a zip-top plastic bag with a spare pair of soft pants like leggings or shorts and extra Pull-Ups — one in the car, your purse, Dad’s backpack, at your mother-in-law’s house, wherever. It can be a lifesaver.